For young professionals, debt is inescapable. That is, if you’re not careful with how you spend your money. Maybe you think, because you’re young, you have all the time in the world to save for the future. But the future isn’t often safe and convenient. There are always a lot of emergencies. Unexpected things often happen. Your sister or dog gets sick and you end up with hospital bills or pet clinic fees. 1. Live within your means: This is perhaps the most obvious rule that many young professionals definitely consider easier said than done—especially if there’s a shoe sale coming up or another hot new gadget to be released in the next few months. If you’re serious about being debt-free, there is no going around it—either you spend less than what you earn or find yourself in debt for much of your life. 2. Stick to a monthly budget: Creating a monthly budget is a good way to actually start living within your means, as the first rule states. Being able to see how much you are making against how much you are spending and how much you owe—written down on paper—gives you a better idea on where you stand and allows you to develop some sense of control over your finances. You might not be successful sticking to a budget in the first few months but what matters is you just keep at it and make adjustments wherever you find necessary. Eventually, you can start building more disciplined spending habits. 3. Start with the smallest amount of debt: If you have already managed to incur quite an impressive collection of debts, a good strategy would be to start paying off the smallest debt amount, regardless of interest rates, and move up from there. It might not make sense, savings-wise, but the idea is to see some actual movement toward being debt-free, one small step at a time. 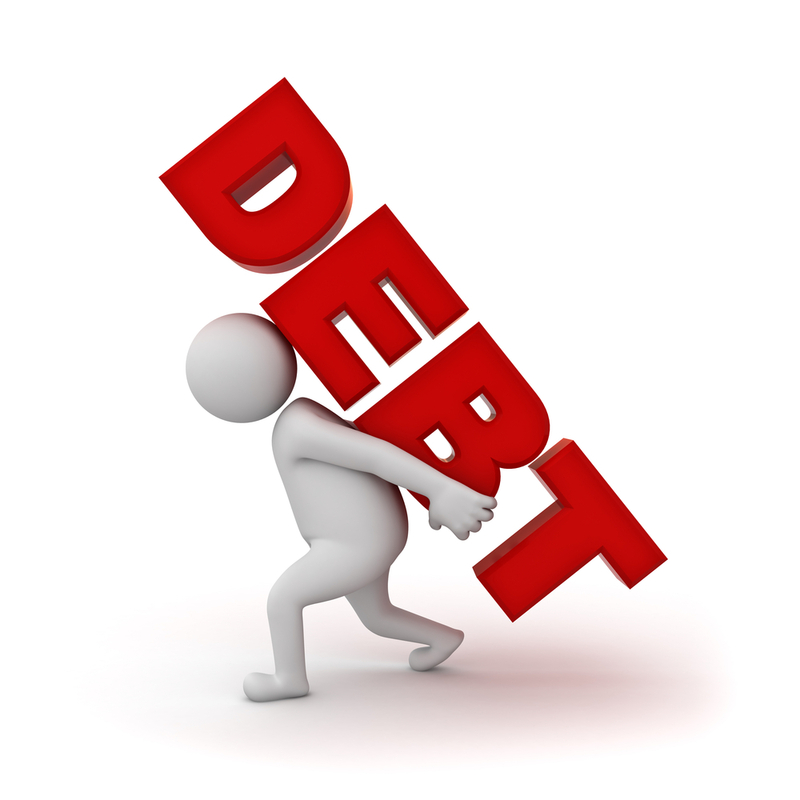 It will give you the confidence and motivation you need to face your bigger debts. 4. Make big changes: For young professionals already being chased by huge debts, some drastic measures may need to be taken. Sell the car you just bought or perhaps slash your budget for leisure and entertainment and use the money instead to settle some of your debt. Be smarter about your shopping decisions. The good thing about it is that you are still young, which means you can surely afford to make some sacrifices today and still get to enjoy several debt-free years afterwards. 5. Hold a garage sale: You may have accumulated clothes, furniture, and other stuff you no longer need over the years. Online channels such as Craigslist or eBay make it easy to put any item on sale. At the very least, you can hold a sale in your own garage and start raising some actual money. 6. Don’t stop saving: Set aside as much of your income as you can manage. If you have some large expense coming up, such as a holiday, special occasion, or some large bill, save up for it months ahead so when the time comes, you won’t be surprised or forced to incur more debt. It is recommended that you learn to also save up for fun. Think of it as a reward to yourself for being so disciplined in your spending. 7. Start thinking about investing: Start thinking about investing, such as in a retirement fund, when you have finally determined a clear path toward your goal of clearing debt—but not before. As you work hard towards making lifestyle adjustments and paying off some debts, you may already have developed self-control and saving habits. Once your debt is cleared off, carry on with those good habits and start investing for your future. Consult a financial coach or do some self-study on how to get started on investing. With these seven steps well in hand, you have a pretty good chance of getting through your twenties without even owing one cent in debt. Guest post by CompareHero, Malaysia’s most comprehensive financial comparison portal for credit cards, broadband plans, insurance and home loans. know it. Therefore that’s why this article is amazing. Thanks Latanya. Welcome to my blog :).